Amazon Boot Camp claims to be one of the best courses on learning to sell on Amazon and how to start a Fulfilled by Amazon (FBA) business. There are a number of other similar courses available in the market but Amazon Boot Camp has gained a lot of traction. Some people are a little skeptical about Amazon Boot Camp since there are a lot of online courses that offer nothing in terms of value. The creators of online courses use fake testimonials and reviews to promote the course and attract people to sign up for them. Those who fall for the gimmicks of such creators lose hundreds of dollars because the contents of the course are useless. Can an Amazon Boot Camp be trusted? Is it the real deal or just another one of those fraud cases? We have decided to review the Amazon Boot Camp course and see what the hype is all about. We will discuss everything you get from this course to help you determine whether it is worth the money. Amazon Boot Camp v3.0 is an online course from The Selling Family (mainly from Jessica Larrew) that can teach you how to build your business on Amazon. It will teach you how to use Amazon’s FBA program. The Selling Family includes Jessica, Cliff (her husband) and their son Aiden. Amazon Boot Camp v3.0 promotes a unique approach to selling products online. Most Amazon affiliated training programs guide people on selling products and in the process of training they earn a commission. But, this is not the case with the Amazon Boot Camp v3.0. Amazon Boot Camp v3.0 allows users to cut out the middleman and get into a selling game with unlimited earning potential. Jessica Larrew’s Amazon Boot Camp v3.0 will guide people in a step-by-step format and show them how she managed to make a fortune by buying inexpensive goods from various outlets and selling the same for considerable profits on Amazon. She uses her experience to help people get started with selling on Amazon. The Amazon Boot Camp v3.0 is especially very useful for those who want to transition from eBay to Amazon as Jessica herself did this. How the Amazon Boot Camp Started? Jessica and her husband Cliff weren’t always this successful. They went through a rough patch in the past when Jessica suddenly lost her job. Fortunately, she was a part-time seller on eBay and turned that part-time hobby into a regular job to support her family. Jessica had learned a thing or two from selling on eBay and knew the Amazon’s potential so she decided to sell products on Amazon too. Jessica thought that eBay did not offer adequate help in certain areas like selling merchandise, customer service, and shipping. Amazon was different and Jessica found the website very helpful in almost all areas of selling. Jessica found success buying liquidated products that cost $2 – $3 and then selling them on Amazon for $8 – $15. Seeing this remarkable opportunity, Cliff decided to leave his regular job and start selling on Amazon too. She supported her wife and together they were able to become successful. When friends and family members started to ask Jessica and Cliff as to what they were doing to make over a $100,000 a year, they decided to share what they have learned with others. That’s when they created what’s now called the Amazon Boot Camp v3.0. As the name suggests, Amazon Boot Camp v3.0 is the training program’s third version. Jessica and Cliff kept on making improvements in their program as they felt the need for it. The Amazon Boot Camp v3.0 adapts a step-by-step approach to help people learn how to create an Amazon FBA business. Jessica teaches people how to buy inexpensive items from liquidation oriented shops and selling them for healthy profits on Amazon. Amazon provides convenience to sellers by storing, packing, promoting and shipping products so there is very little the business owner has to worry about. The only concern for a business owner is how they can make money. This is what the Amazon Boot Camp v3.0 teaches them. The training offered by Jessica’s Amazon Boot Camp v.3.0 is quite good. The program ranks up high on presentation and quality. The material of the program is being updated constantly to stay relevant to changes made by Amazon. As FBA regulations and policies change, so does the training of Jessica in the Amazon Boot Camp v3.0. People can rest assured that they will be getting the most up-to-date guidance and training from the Amazon Boot Camp. 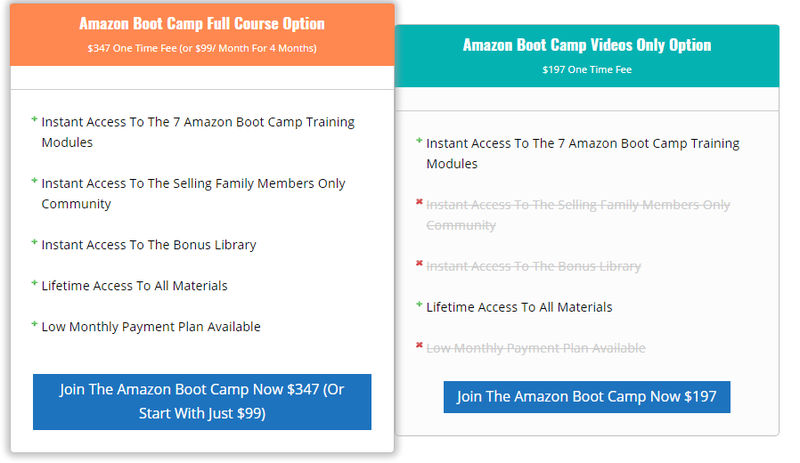 When a person signs up for the Amazon Boot Camp v3.0, they’ll get several different modules that will take them step-by-step through the process of using Amazon to sell products. Here are some of the things they will get if they decide to join the Amazon Boot Camp v3.0. The bonus section of the Amazon Boot Camp comes with a few important things that will help as a business owner. Some super important topics are included in the bonus section and they are definitely worth a few hundred dollars. When starting any kind of business, the most difficult part for the majority of people is dealing with money and numbers. So getting training on topics such as accounting and sales tax is something great. Other topics such as how to get discounts on the items you buy to sell on Amazon and where you should source them are important as well, but the tax stuff is really helpful and interesting. Two important components inside the bonus section include video sessions and informational books. Video sessions talk about business-related things like accounting and sales tax collection. The bonus section includes discussion on some important topics that people who intend to run an FBA business should know. Therefore, it is an important aspect of the course. Throughout the seven modules, instructions are provided in different disciplines that may help you succeed as an Amazon seller once you’ve completed the Amazon Boot Camp v3.0. Here are the topics that are thoroughly discussed in the course. What Does It Cost to Do Business on Amazon? Amazon Boot Camp v3.0 is upfront about what a person will be paying to get their business on Amazon. Jessica is transparent and will clearly show the cost of running an Amazon FBA business. All the start-up expenses will be broken down and she will also tell you the cost you might incur while running the business. How to Set Up Your Amazon FBA Business? The second section of the course is titled “Setting Up Your Amazon FBA Business”. This section will provide guidance about how to start an Amazon FBA business. Jessica will walk you through the process of creating a seller account on Amazon. She will also talk about the Seller Dashboard and show how you can navigate through it. In this module, Jessica will discuss in detail the effects of product rankings and buy box on your Amazon FBA business. Amazon Boot Camp v3.0 will teach people which products they should buy and how to obtain sales consistently. Details about how to achieve profits are provided by Jessica and she also shows how a person can determine whether a product is a good buy or not. Jessica teaches a unique method in her Amazon Boot Camp v3.0 for sourcing products to resell. This method is referred to as “Retail Arbitrage”. Finding the inventory that’ll be profitable to you and appealing to your prospective customers is the most difficult part that you must deal with when selling your products on Amazon. Jessica spends a lot of time showing people how they can search for profitable products in a timely and efficient manner. She shares some trade secrets that she uses herself to find appealing and profitable products to sell on Amazon. In this module of the Amazon Boot Camp v3.0, people are taught about how they can list their products and get them to Amazon warehouse so that their orders can be filled. As a member, you can get access to a community with thousands of like-minded people looking to support and help you in your journey. You’ve two different options for joining Amazon Boot Camp v3.0. You can buy the full course at $347 or spread it out in 4 payments of $99. Both these options, give you instant access to seven training modules, access to the members-only community of The Selling Family, access to the bonus library, and lifetime access to course materials. There is also an Amazon Boot Camp videos only option available at $197. This gives you access to seven Amazon Boot Camp training modules and lifetime access to all materials. Jessica mentions that a person should have at least $500 extra for their start-up inventory. But, she does a good job at providing cost-efficient ways of getting an FBA business up and running. The core concepts and principles of business don’t change, but minor changes are made on Amazon. So, Jessica keeps on updating her course to respond to the change. A few changes were made to v2.0 to make it as useful and helpful for people as possible. Most “how to make money” courses are ditched just after a couple of months, but The Selling Family has kept on working on their product. This shows their commitment to the brand. Another thing we like about the Amazon Boot Camp v3.0 is that there no website creation issues to deal with. Not only that, but you won’t have to deal with customer service agents either as everything comes included in the complete course. There are different types of videos included in the course. Some were done in PowerPoint presentation style with images, text, and voice-over by Jessica. Another style was the over-the-shoulder detailed tutorial kind, where Jessica takes you through filling out forms, picking products, and other important parts of the Amazon website that FBA business owners must be familiar with. There are also some live videos with Cliff where he was scanning and packaging products. The community is very supportive and the people will usually respond to your questions and queries. Another thing we like about the Amazon Boot Camp is that they give you a 60-day money back guarantee. If you aren’t satisfied with the course for any reason, you can ask for a refund and they do give your money back. Jessica covers everything a person who wants to start an FBA business needs to know. She talks about where people can find products at good prices to sell on Amazon and what ROI and margins she shoots for. She also shows how people can actually set up their business on Amazon. The things that some people are concerned about when setting up a business of this sort is the math stuff like accounting, bookkeeping, and sales tax. She covers these topics in details to help people set up their business. She also gives examples of bad products and good products and why they are or are not recommended. She shares tips about sourcing products online and discusses margin and ROI goals. Jessica provides insights based on her experience and shares her trade secrets with people. We absolutely love the bonuses included in the Amazon Boot Camp v3.0, especially the Buyer Sales Tax Guide. 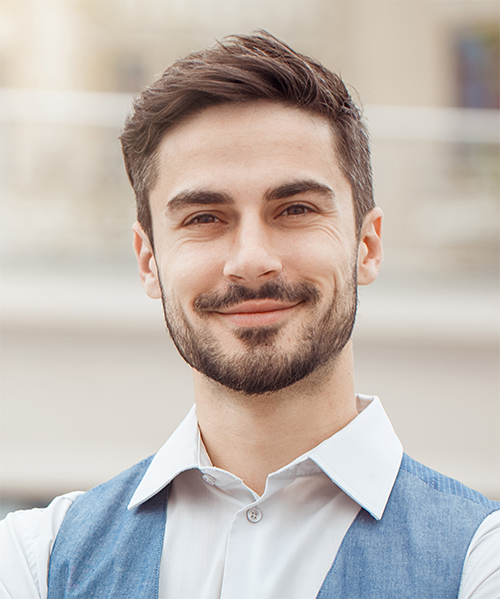 This guide shows people how they can use their tax-exemption certificate in FBA to save almost 10 percent off the top of their purchase price. One of the things we don’t like about the Amazon Boot Camp v3.0 is that you cannot ask questions on the modules themselves. You can only ask questions on the Facebook group or the forum. It is more convenient to have all the things in one place. Another thing we don’t like about the Amazon Boot Camp v3.0 is that the videos come with no text. This isn’t a major problem, but you would have to scan for specific information in the course and this can be time-consuming. Forking out $347 isn’t easy for most newcomers. It can be a high-cost investment and most people would be skeptical about spending this much on an online course. Moreover, a person who is looking to start their own FBA business would be concerned about expenses like the cost of inventory and start-up costs. So, it can be difficult for them to pay $347 just to learn how to start an FBA business and be successful with it. This isn’t the only course that provides guidance about how to earn with Amazon. Another great course that has a strong international element is known as the Proven Amazon Course by Jim Cockrum. If you just want to start making money online without selling on Amazon, then you can consider Wealthy Affiliate. It is an online business community that teaches people how to start an online business by creating a website and selling digital products or physical ones for a commission. It’s quite active and members are always exchanging ideas and chatting. 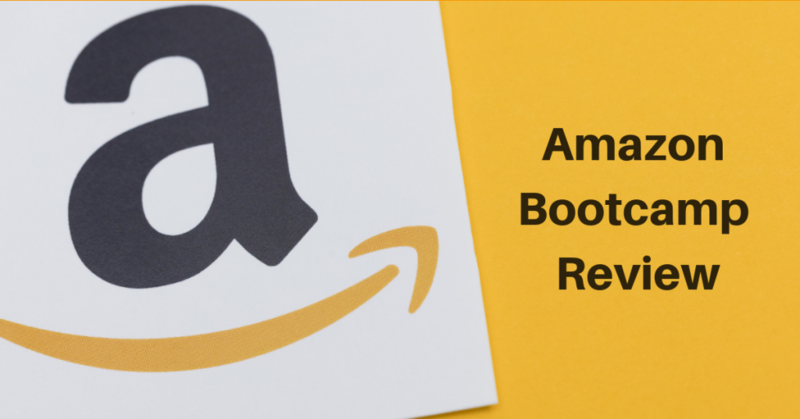 We believe that the Amazon Boot Camp v3.0 is a good course and offers plenty of information, tips, and advice to those who want to start an FBA business and using Amazon to sell their products. The costs are a little too high, but they might be worth it if you are able to benefit from the contents of the course. Once you have established an FBA business, you would be able to make a lot more money than you pay for this course. The training you’ll receive in the Amazon Boot Camp v3.0 is very detailed and step by step instructions are easy to follow. The videos in the course are well-scripted and high quality. We absolutely hate videos where the presenter just keeps reading from the PowerPoint slides or rambling pointlessly and fortunately there are no such videos here. The bonuses included in the course like the accounting and bookkeeping information are invaluable to people learning FBA. The Accounting 101 course teaches people how they keep track of their expenses and profits in an FBA business. Another good bonus is the Sales Tax guide that teaches people how they can get tax-exemption. On top of great videos and bonuses, you will gain access to an active and friendly community. One important thing that we believe should be there in the course is to ask questions right in the module. You can’t ask questions there and you have to rely on the community to get your questions answered. Sometimes you might not get a response from the members and this can be upsetting especially since you are paying a hefty $347 for the course. We don’t like the high price of the course, but a lower tier plan is available at only $197 which could be a good option for people who can’t spend a lot of money in an online course. However, if you want access to bonuses and access to an online community, you should go for the $347. There is also a payment plan for those who can’t afford to pay the whole $347 in one go. Even if you have no idea about how Amazon works and how you can sell on the website, you would still be able to understand everything discussed in the course. Jessica shares her own trade secrets and other useful tips in the course which would help you a lot. Since Jessica herself transitioned from eBay to Amazon, this course is ideal for anyone who wants to shift their business from eBay to Amazon. From what we have seen, many people who took Amazon Boot Camp are finding success in selling products on Amazon. This shows that the program is effective and you can use it if you want to get started with selling on Amazon. So, if you want to start an FBA business or want to transition from eBay to Amazon for selling your products, we would definitely recommend you to take the Amazon Boot Camp v3.0 course. If you can afford the $347 package, go with that one but if you are short on money, then $197 could be a fine option. But, remember that it only gives you access to seven modules and lifetime access to materials.